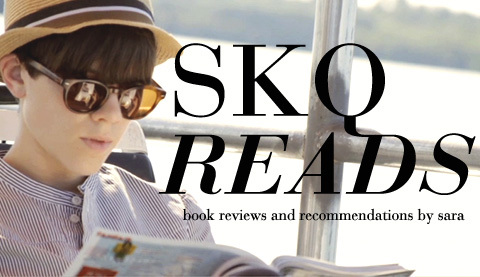 Summer is over and I thought it was time for a quick SKQ update! This is a slight variation, as I’ve consumed more TV and Film this summer than actual words. So, forgive the somewhat thin list, bookworms. Growing up, the summer’s end was always bittersweet. I loved not having to be in school, but as a kid I always fared better in structured environments. There was a strange comfort when lazy days of watching soap operas with our Grandma and floating in our plastic backyard pool were ending. I never went to camp but Tegan has a lifetime of trauma from the two and half days she spent at Patrol Camp in fourth grade. As a result I was never allowed, nor did I request, my own trip to sleep-away camp. There were a number of summers in daycare programs that were filled with visits to the butcher shop at the supermarket and the water slide park next to the Bow River. We didn’t canoe or learn to build tipis, but we did build our own casino out of cardboard and sold tickets to each other using candy and dollar store toys. The only sleepovers we had fell somewhere near the end of the summer; we’d all pile onto pockmarked pieces of torn foam in crooked rows along the painted lines of the gymnasium floor and our councillors would relish our final group activity in frenzied relief. Which brings me to The Interestings by Meg Wolitzer. Because of my own eclectic experiences with daycare programs and latch key kid freedom, I don’t totally relate to stories about summer camps. I sometimes imagine that even if I had attended camp, being gay and somewhat shy, I wouldn’t have any coming of age crush moments to sentimentalize. Love Dishonor Marry Die Cherish Perish by David Rakoff. My first experience with David Rakoff was his collection of essays, Don’t Get Too Comfortable. I remember laying in my bunk on the bus and choking out laughter into a pillow as to not wake my bunkmates. I immediately fell in love with everything he wrote and was delighted to hear his voice regularly on the podcast ‘This American Life’. I was so saddened to learn of his death and will truly miss his voice. No Straight Lines: Four Decades of Queer Comics by Justin Hall. This book was amazing. A gift from a dear friend, I absolutely marveled at it. I devoured 3 seasons of Shameless, which I absolutely loved. Orange Is The New Black, The Fall, Lake, Broadchurch and The Bridge; all so different from one another but enjoyable. It’s been a long summer of travel and your gifts and correspondence has been so helpful! We spend hours backstage writing postcards, reading letters and admiring your artistic handy-work! Feeling so happy and grateful for all of the affection you share. Thank you times a million.